The British Triathlon Trust is the official charity of British Triathlon. We use the engaging sport of triathlon to encourage children to become more active, not only improving their health, but also developing their social skills, increasing self esteem and nurturing good habits such as commitment, discipline and respect. We are supporting the Space to Earth challenge by organising fun, engaging events that mimic both the training astronauts undertake in preparation for space travel, but also the exercise routines that they must maintain while living in zero gravity on the ISS. The solar physics group at Department of Applied Mathematics and Theoretical Physics has a very high international standing, and has been involved with NASA and ESA on many solar space mission, including SoHO, the Solar Dynamics Observatory and Hinode. Sun|trek is an educational website about the Sun and its interaction with the Earth’s environment. Sun|trek contains information about, and images/movies from solar space observations, together with classroom projects. It is widely used by schools in the UK and worldwide. Dr Helen Mason OBE is a British scientist at the Department of Applied Mathematics and Theoretical Physics at the University of Cambridge. She holds a Personal Readership in Physics. Helen Mason has been involved in many solar space projects such as Skylab, Yohkoh and the Solar Maximum Mission. She has been working as a co-investigator of the Solar and Heliospheric Observatory project launched in 1995, and more recently on Hinode and the Solar Dynamics Observatory. Helen leads the Sun|trek project ( www.suntrek.org) an educational resource about the Sun and its effect on Earth. Creative Hex is a graphic design company based near Bishop’s Stortford in Hertfordshire. Over the past four years it has been involved with several design projects within the space industry and education sector, and is enjoying being part of the Space to Earth Challenge. Lorraine is an experienced science communicator who develops, delivers and coordinates STEM engagement programmes aiming to engage, inspire and support diverse audiences including teachers, school pupils and community groups. Lorraine followed a PhD in Biomedical and Clinical Laboratory Sciences with managing the informal learning programme for Bristol’s science centre, teaching in Southern Italy and coordinating outreach programmes and school partnerships on behalf of Durham University, NETPark and The Ogden Trust. Her experiences include managing student-led programmes such as School Science Ambassadors and STEM-career fairs for and by young people; being a Motorola/Royal Academy of Engineering Visiting Teaching Fellow in Engineering Education with her work with smart materials in schools; and winning the National Coordinating Centre for Public Engagement’s ‘Best Engagement Project for Young People’ in 2014. Edward has put together this stunningly amazing website for us. According to his own website he is “unfailingly patient and helpful, creative and proactive” and he’s living up to that every day! The European Astronaut Centre (EAC) is a centre of excellence for astronaut selection, training, medical support and surveillance, as well as supporting astronauts and their families in preparation for, and during, their spaceflights. We are supporting the Space to Earth Challenge by sharing our operational knowledge on how we use physical exercise to maintain the health of ESA astronauts, including Tim Peake, before, during and after their missions to the International Space Station. Revolutionize the way you explore science and mathematics with HP’s new full color, multi-touch graphing calculator, HP Prime. Through a partnership with The Math Zone and the Space to Earth Challenge, students will engage in activities that combine key math concepts with real-world space applications. Chris Olley from Kings College London, is working closely with HP to develop ways of using calculators to show the maths of space. The Ideas Foundation is a charity that aims to nurture creativity in young people – especially young people from disadvantaged areas. It provides young people with an opportunity to work in real-life campaigns and with industry experts. The Ideas Foundation is supporting the Space to Earth Challenge through creative challenges and through giving young people a chance to shape the project through workshops with industry experts. It is also project managing the programme on behalf of the partners. The IET will be producing a range of teaching resources, events and teacher CPD to promote this coding device. We are very pleased to be working with the Space to Earth Challenge with the potential for the BBC micro:bit to be used to track activity and distance as part of the resources on offer. King’s College London is supporting the challenge in a number of ways. The resources in mathematics have been developed by Chris Olley from the PGCE secondary maths programme to match and complement the resources provided by our other educational partners. Students and staff from the MSc Space Physiology Course at King’s are supporting the challenge in a variety of ways. Dr Vincent Giampietro is a neuroscientist with a background in Engineering and Computer Science. He works as a Lecturer in Neuroimaging at the KCL Institute of Psychiatry, Psychology and Neuroscience where, with his colleagues, he aims to map the brain in health and illness. Vincent has a passion for science and science communication, and is involved in organising and hosting school visits. Laura is a science communicator specialising in science and physics in space. Using her knowledge of the curriculum at primary and secondary level Laura develops hands on resources for use by teachers. The Polar Earth Observation Group at Leeds forms part of the UK national Centre for Polar Observation and Modelling. We use satellite data to study the great ice sheets of Greenland and Antarctica, and also smaller glacier and ice cap systems. As a group, our interests lie in monitoring the changes that are currently occurring in polar regions, and investigating the processes which link ice sheets to their surrounding climate. Principally we use the techniques of radar altimetry and interferometry to measure how Earth’s ice sheets are changing over time. We also use models to study the impact of changing climate on ice sheets, and conduct fieldwork in support of satellite observations. Design and art direction, project brand and visual communications. We’re a graphic design practice specialising in clever clients. We work with educators, scientists, charities, social enterprises and niche businesses on a huge variety of interesting projects. This year alone we’ve gone from space suits to bee suits! Michael Cockerham is a professional photographer with over 20 years’ experience. He has been closely involved with manned space-flight for the last eight years, photographing Neil Armstrong and our very own Tim Peake among many others. Queen Mary University of London (QMUL) is one of the UK’s leading universities, and one of the largest institutions in the University of London, with 20,260 students from more than 150 countries. A member of the Russell Group, we work across the humanities and social sciences, medicine and dentistry, and science and engineering, with inspirational teaching directly informed by our research – in the most recent national assessment of the quality of research, we were placed ninth in the UK (REF 2014). As well as our home at Mile End, we have campuses at Whitechapel, Charterhouse Square and West Smithfield dedicated to the study of medicine, and a base for legal studies at Lincoln’s Inn Fields. We have a rich history in London with roots in the Victorian philanthropic project, the People’s Palace at Mile End. We are supporting the Space to Earth Challenge through creating education resources and hosting events for schools. The Royal Aeronautical Society is the world’s only professional body dedicated to the entire aerospace community. Established in 1866 to further the art, science and engineering of aeronautics, the Society has been at the forefront of developments in aerospace ever since. The Careers and Education department at the Royal Aeronautical Society was established in 1997 and works to support people seeking employment in the aerospace and aviation community. The Careers and Education team also organises educational outreach events such as the Ballantyne Conference and the Cool Aeronautics programme. 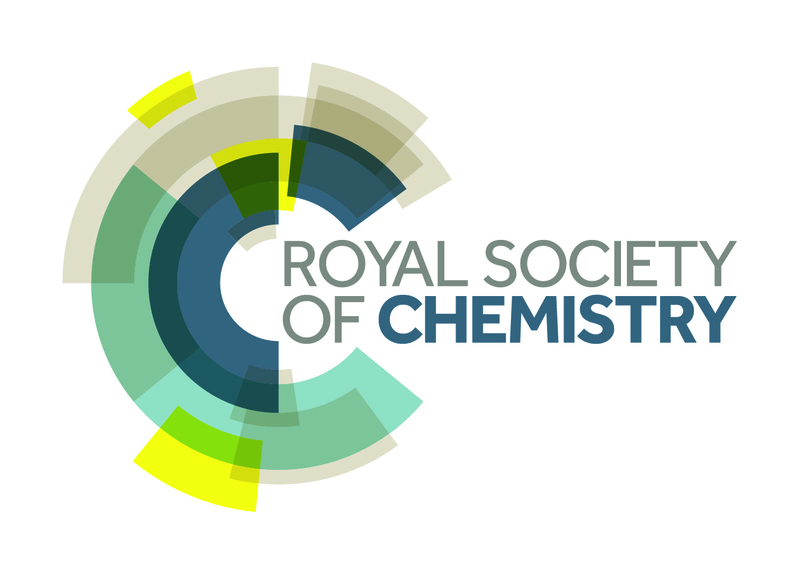 The Royal Society of Chemistry promotes, supports and celebrates chemistry. We are the world’s leading chemistry community, advancing excellence in the chemical sciences. Teesside University is supporting the evaluation of the programme and sports and technology challenges for schools. Alex Kerry is studying for a Healthy Psychology MSc and is interested in qualitative evaluation of the challenge, as a health campaign, with aims of increasing exercise behaviours in children and reducing Obesity, and wants to assess the success and barriers of exercise behaviour, relating to motivation and maintenance, through action research from a psychological perspective. The UK Space Agency, with its many partners and the European Space Agency, is putting together a comprehensive education and outreach programme that spans a very broad range of subjects and age ranges, all linked to Tim’s mission to the International Space station (ISS). UK Students for the Exploration and Development of Space (UKSEDS) is the UK’s national student space society. We support students and enthusiasts across the country by running space projects, hosting conferences and workshops, and doing outreach to inspire and educate. We’re keen to build links between different parts of the space community, and to promote space beyond that. We are the UK chapter of the global SEDS movement, and a registered charity (no. 1158580). We are a group of schools which aims to provide excellent education to children and young people across the country. We seek to improve the life chances of all the children and young people we serve and make it our mission to bring out ‘the best in everyone’ – students, staff, parents and the wider community. Uniquely, our Group includes significant numbers of schools in both the public and the private sectors, working together for mutual benefit. Venture Thinking is an educational consultancy that aims to inspire young people’s creativity and ambitions through creative science and work related learning projects. Venture Thinking has won a number of awards for outreach work including the Sir Arthur Clarke Award for Education Outreach and the National Careers Award for Work with Young People. Venture Thinking is led by Heather MacRae. Venture Thinking is supporting the programme management of the Space to Earth Challenge in partnership with the Ideas Foundation.